A typical dog dental -with Dental pictures. Aqis Cat To England export Aqis accredited vet. A very common presentation at our veterinary dental consultation is whether a particular tooth can be or treated or should it be extracted? Pet dogs and cats do NOT need teeth as their hunting ancestors did. They do not need to chew raw meat from a carcass. They do not need to defend territory or breeding rights. The food is presented in the bowl and often ready to swallow. 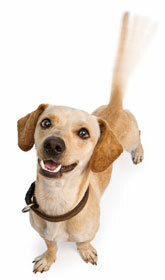 What pet dogs and cats need and deserve after a veterinary Dentist visit is a mouth free of pain and infection! Our observation is that veterinarians have a tendency to not extract as many teeth as they should as often veterinary dental extractions are difficult and time consuming. Many pets tend to have teeth left in place when owner and animal would both be better served if these teeth were removed sooner than later. A mouth free of pain and infection is vastly more important than a mouth full of teeth. Some teeth, namely the canines and largest check teeth are much more valuable teeth and often worth saving. Veterinary Dentistry in Burwood plans on providing our patient with a mouth free of pain and infection and a mouth that has a reasonable chance of being maintained (with reasonable ongoing effort) free of pain and infection for as long as the animal lives. BOOK an appointment ONLINE NOW by clicking the link.